One of the most dynamic aspects of living is balancing all aspects of thriving. Thriving requires grounding, action, flow, believing and trusting. Often times, one area is strongest, you’re most connected with. As with Nature, there is a process in which all aspects are given the opportunity to perform. Growth requires connection from within and feedback from the outer world. Grounding, is the ability to stay centered, in harmony, balanced from within, while the world moves around you and you decide to go out and create changes. Now, Action is essential for change to occur. Action, when inspired is a joyful, passionate feeling, to doing what you love to be doing. Flow, is a state of letting things be as they are, without attachment. Flow, feels passive, when in reality is a subtle power, not allowing anything to move you off course or form an attachment in your way. Believing, moves your thoughts out into the world ~ to “see” what you want in your minds eye and vision it as your reality. Trusting, the Golden Ticket. Trusting is an inner knowing, a way of living in Love, Receptive and Connection with your Truest Self. What I am learning to love about grounding is the sense of inner focus without doing. There is no action required for grounding. My life experiences brought me through overextended in action without any sense of grounding. None. The shift to learn, apply and be in grounding has been a remarkable journey, settling. A sense of peace. Grounding is essentially the opposite of action. Where action is the doing, going out, shining, grounding is deep rooted, in the depths of your center. Grounding is peaceful serene, a sense of feeling into your soul. Action, as I mentioned is the doing. Action has a strong influence of power, excitement, enthusiasm, charisma and being seen. There’s a different kind of confidence that comes through action. It’s one that loves to be seen, to be heard, and to shine. It’s a confidence of sense of self. 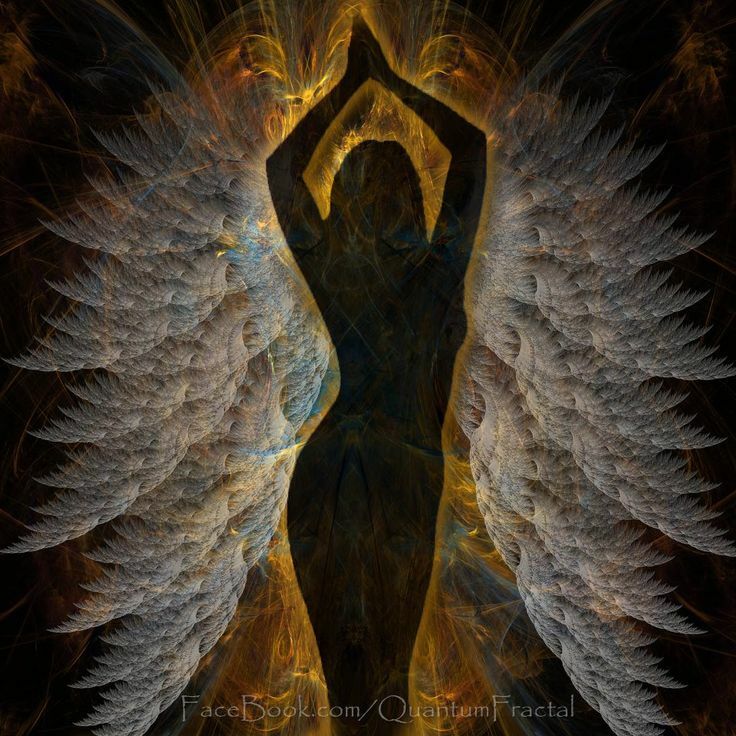 Being Inspired into your action adds so much energy, positive, and light energy to move you, spread your wings. Flow is the capacity to let things roll off your back, to allow things to be as they are. Flow finds simplicity, grace, ease and freedom in the unknown. There is an element of motion that occurs naturally, intuitively and receptively. Flow provides, reassurance, comfort, support and value. Believing honors your self. Believing creates the space, the focus and clarity for your self, the container for your grounding, action and flow to be. It makes up your thoughts and the way you choose to believe the world works. Believing paves the way for your desires and thoughts to manifest in the world. It’s the specialness you bring forth in the world, your uniqueness to embrace, cherish and celebrate. Trusting connects your deepest roots, your grounding with your highest high, your believing. It is the light within. Trusting shines bright, shines bold and shines rich. It’s the essence of who you are at your core, from where the Magic happens. Trusting is a feeling of power & passion, radiating and magnetizing rippling out through the great big Universe. The elements, share with us and through us the truth and beauty of who we are. It’s up to us to spend the time and energy to ignite the gifts found in the treasure chest of your soul. Stability and security represents your place in the world. Feeling safe, provided for, a sense of personal identity that provides for you emotionally, financially and spiritually. When your sense of stability and security are shaken, whether you taking a risk, or things around you very suddenly change ~ your base level of survival, your roots are being challenged. Roots are at their core, essentials necessary to live and require a feeling of peace and serenity. It relates to everything in the physical world, home, food and water and your connection to where you are at, a feeling of safety. When deciding to spread your wings and fly, deciding to go after a bold change in home, work or way of living, your roots will be uprooted. During this time of transition, you have decisions and choices to make, with a new found freedom to trust yourself. This act of courageousness is not for the faint of heart. It is for those of you who want a better way of living, have a sense of self and determination and a sprinkle of Trust in Your Self, being Bold in Your Actions. Fearless. 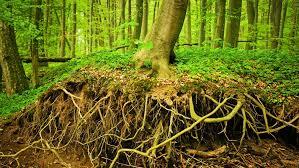 Understanding the aspects of Roots in our way of living will help ease the chaos, mental chatter and unknown. When becoming ungrounded during this shift and transition, the actions being called forth is stillness. That’s correct, stillness. In the stillness, sit with your own being, body mind spirit. Allow everything that needs to be expressed and felt, rise up. Allow it the freedom to be and to move out, where it no longer holds you down, holds you back or limits you. Give yourself time and space, own your courage to be in the heaviness of the dark energies as they move out. With the desire for something new and the changes in motion, there is no longer a way for the old roots to hold on to give you what you need. These old roots will no longer provide for you what you want, they must go. Within this stillness, and the release of the old, the new opportunity has light, a way to be seen and felt, held and loved. You Find YOUR SELF AGAIN. The process of clearing your roots can be painful, scary and difficult, after all going into the unknown and experiencing feelings you’d rather not feel is rather uncomfortable to say the least. Understand, you are not alone and the process has a purpose. Finding detachment in the feelings, finding grace, a release and experiencing your own personal freedom from the past which held you down, is nothing less than a Miracle. The Birth of Something New for You and Your Life. How can you move forward? How can this experience provide the transformation you’ve been looking for in having a better life? I’ve come to understand, through my years of facing the stillness, of feeling unsafe, ungrounded, and unsettled, it has always been teaching me and guiding me to my next new journey. Going into the stillness, facing the heaviness of emotions and feelings has taught me how to cultivate a practice of release, let go, surrender. I didn’t know these gifts, which came in the form of heartbreaks and loss rather quickly in my life, which then led to so much chaos, would lead to so many opportunities to find new practices for tending to myself emotionally, mentally, spiritually and physically, creating new roots, a maturity ~ a new form of stability and security for myself. I am now wiser, stronger, more connected, and more sure of myself, more empowered as a woman. The outer circumstances of my world through challenges, struggles, lessons and breakdowns gave me the opportunity to Find My Self, to honor my gifts and know where ever I am, I have the skills and tools necessary to provide stability and security in my life. This is my unique brilliance to share with other. As you take flight on your journey, I’m here guiding you to find your way back to your Roots~ the stability and security of who you are. All of us have unique gifts, specific to you, what you bring to the World. The current way society operates is fitting everyone under specific ways of doing things, limited in creativity, self expression, and joy. Because most people fear loss of security, love or self-esteem, you continue to operate under these systems. Loss of security, love or self-esteem will show up in your relationship to money, your family, your career, your significant other and your health. Your choices and actions are directly linked to your beliefs about security, love and self- esteem. They make up your habits and patterns and how you interact on a daily basis. I want to talk about your unique gifts, your creativity, self expression and joy. I am going to share why your gifts are the essential foundation for you to gain safety, security, love and healthy self- esteem to be in the world. As a young child, you often did things that made sense to you, they made you feel alive, lit up and excited. Most often, the adults around you, didn’t recognize the power and joy you had in doing these things. Let’s say they were so burnt out and disconnected from their own power and joy, they couldn’t honor or accept yours. Fast forward to today. You deep down have a knowing, have a real truth for what brings you joy and happiness. You know having certain things, doing certain things, opens you up. Now, you are either in a space to enjoy these things, or in a fear of doing them. What I ask that you take a look at is the feeling doing these things bring you. How do they really make you feel? 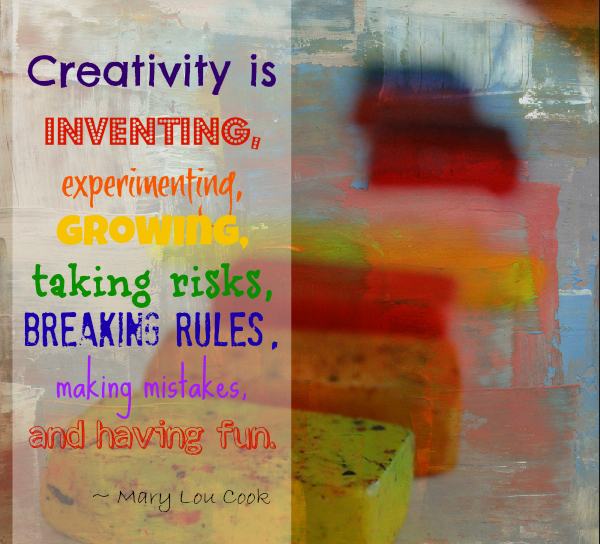 Do you feel creative, self expressive and joyful when doing them? Then, these activities are a way to your unique gifts. Your unique gifts are within you to bring more joy, pleasure, happiness and fulfillment to the people you connect with. How would you begin to use your gifts? What would you need to feel safe, loved and full of yourself to use your gifts? Think in terms of creative, self expression and joyful. For example, for me, writing brings me joy, creativity and self expression. I love to express myself in all ways. Fear on the other hand, grabs hold of creativity, self expression and joy. Fear limits your ability to think for yourself, where you have ideas that stir creativity, passion and purpose. Fear requires you stay within the confines of the structure, which means there is no creativity, there is no self expression or joy. As yourself, “am I experiencing joy, creativity, passion, and self expression in the work I am doing?” It is a straight forward yes, no answer. If you find yourself trying to negotiate a response, you are negotiating your creativity, self expression and joy for security, safety, love and self esteem. The true beauty and nature of this gift is, you can change jobs, careers, get a new spouse or partner, a new living situation and until you decide to embrace and use your gifts, nothing really changes, you just recreate a different scenario of the same thing based on the need for security, safety, love or self esteem. Your way of interacting with the situations doesn’t change, it’s based on the need for change to get your needs met. Choose one situation, what would it look like using your gifts with creativity, self expression and joy? Take money, family, health, career, relationship or work? How would it feel different? What would you expect from yourself? Now, look at all the ways you are playing safe in order to get your needs met. Staying in a particular job, staying in a relationship that drains your energy, doesn’t meet your needs, maybe looking at money from a standpoint of not enough or never enough. These beliefs are based in fear. When in this space of fear, you will be unable to see creativity, self expression and joy. You will be blinded by the beliefs in play used to keep you in a sense of safety, a way to keep you stuck in this operating system. This also means, you are out of touch, disconnected from your unique gifts. It will take a conscious decision, choices and actions to move you forward, to step forward into your gifts with faith, trust and a genuine desire for growth, being more powerful and authentic. Your point of power is your gifts. Your point of change, growth, your ability to find happiness lies in your ability to use your gifts. To be creative, self expressive and be in joy. What I find fun, genuine and authentic being in my gifts is the true joy they provide for me. The way I express myself creatively without attachment to the outcome. How I am dynamic, trusting, playful, honest and sensual while being completely in my work, my fitness and my relationships. 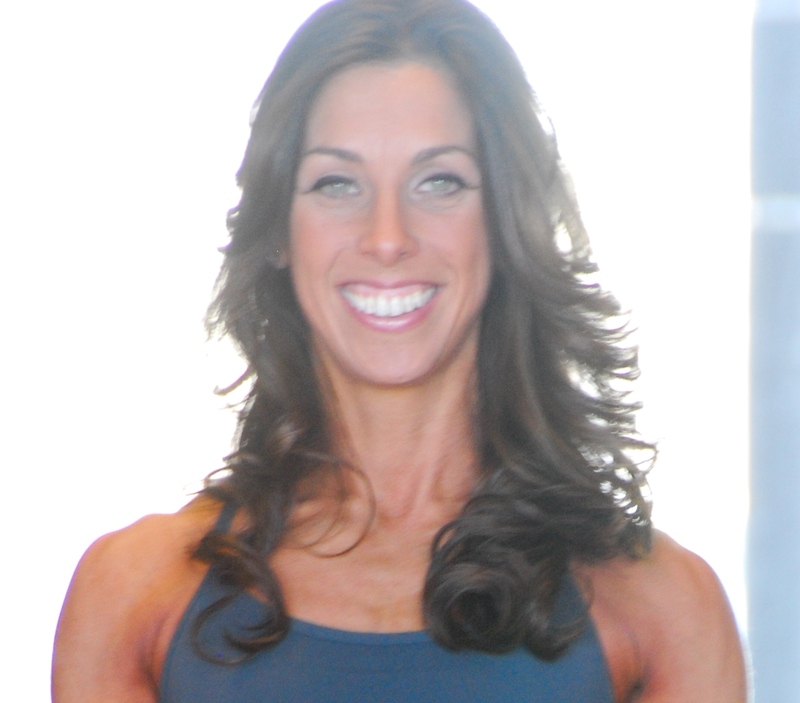 Whether I am writing, teaching fitness classes, working with private clients in Nutrition, Fitness, CORE Coaching, or my relationships in all ways. Using my unique gifts expands my resources, my way of living and increases my flow. I trust owning my power, through my unique gifts, will bring joy. It’s the light that leads the way, that shows up even in my darkest hours, when old programming of fear appears to stand in my way. It is my unique gifts that whisper, that rise to the occasion, the ones I choose to see and say yes to. Yes, using my unique gifts brings joy, blossoming, turning me up, turning me on, and….. in that I love sharing them with others.